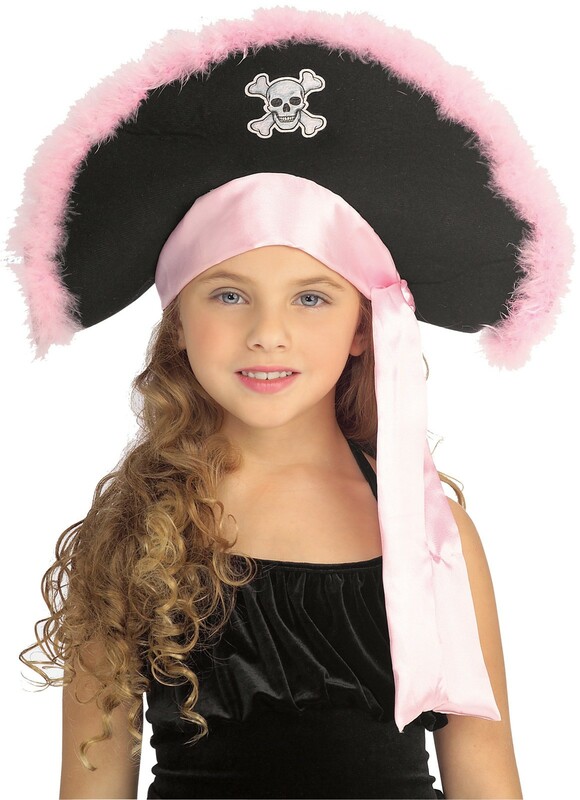 No pirate outfit will be complete without this Girls Pirate Hat. 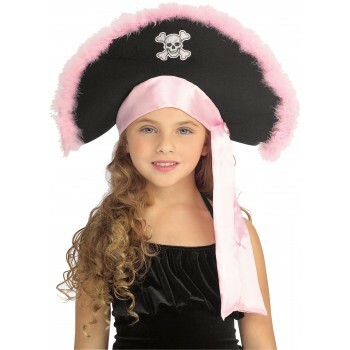 Girls Pirate Hat In Pink Child is a black marabou pirate hat with pink trim and bandana. One size fits most children.